It’s time for tea! Whether morning, afternoon or evening, there is nothing more refreshing and relaxing than a cup of tea. Enjoy while it rains, snows, during the Advent season and even in summer – hot drinks are good for your body anytime! 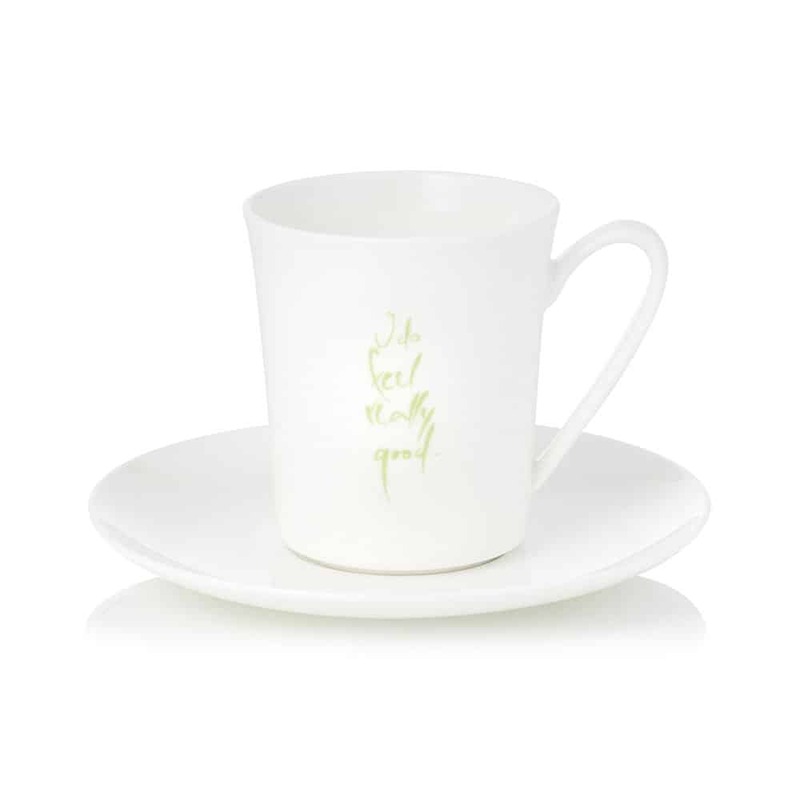 Our Sonnhof tea cup is made of white porcelain with “I do feel really good” inscribed in green.